A familiar face will be leading the North-West University (NWU) Soccer Institute football team as its head coach. Former team member and assistant coach Karabo Masehela took over the reins from former head coach Monde Hlatshwayo on 19 October 2018. Karabo is no stranger to the institute and is ready to do the thinking cap. 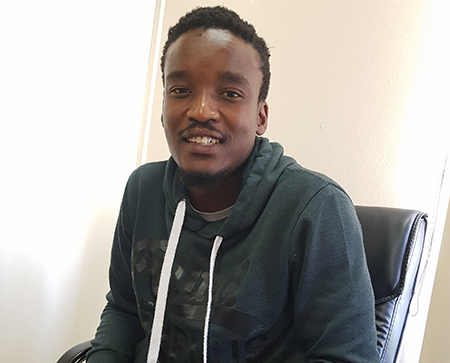 Karabo is a former professional footballer who has played for SuperSport FC, University of Pretoria FC, Thanda Royal Zulu FC, FC Cape Town and Holland-based Feyenord. He has three ABSA Premiership gold medals under his belt. These he secured while playing for SuperSport FC, who won the league in 2008, 2009 and 2010. Karabo also represented the South Africa National under 17, under 20 and under 23 soccer teams during his football-playing years. Karabo says he understands the responsibility of being a head coach at the institute. Soccer Institute manager Vuyolwethu Sambo says they are on a mission to build their own timber. “We will ensure coach Karabo gets the necessary support and training to further develop his knowledge of football coaching,” Vuyolwethu adds. In addition to attending an introductory coaching course organised by the institute, the new head coach will also receive his Diploma in Sports Science during the NWU’s spring graduation ceremony in 2019. Karabo Masehela is the new head coach of the NWU Soccer Institute.